We are thrilled to feature Maui in our Winter 2015 issue of RTX Traveler Magazine. We hope that you enjoy the articles about this exotic destination and that it inspires you to plan your next RTX exchange vacation to Maui. RTX members, contact a Travel Consultant to book your exchange to Maui, Hawaii, today! While officially known as “The Valley Isle,” Maui is also referred to as “The Magic Isle” among Hawaii’s tropical islands. As the state’s second largest island, visitors love Maui for its waterfalls and swimming holes found in the lush rainforests, small towns that are home to artists and craftsmen, delicious local cuisine and of course, plenty of gorgeous beaches. From the crater of Haleakala to the lavender fields in the Upcountry to the Lahaina Harbor, visitors will love exploring the magic of Maui. RTX members who want to make Maui your next exchange vacation or getaway, contact RTX today at 888-988-4RTX or log in to your account at www.rtx.travel. We’d like to thank the Maui Convention & Visitors Bureau for information and photos used throughout this issue. 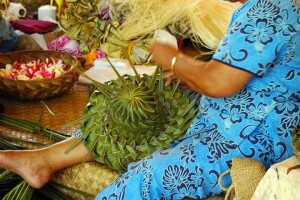 Visit Maui online at www.visitmaui.com for even more vacation inspiration from this amazing destination. Maui is nothing if not diverse, and while you may think the sand and the sea are the best parts about the island, you will be missing an entire world of experiences that can be found in the Upcountry, the land among the western slopes of Haleakala that stretches from Makawao in the north to Ulupalaka in the south. With its two theater companies, magnificent arts and cultural center, and its own symphony orchestra, Maui provides world-class offerings in both the visual and performing arts. There are more than 50 art galleries and a thriving community of artists on Maui, many of them world-renowned. Take a journey through Maui’s rich arts scene and experience performance and visual art as you never have before. 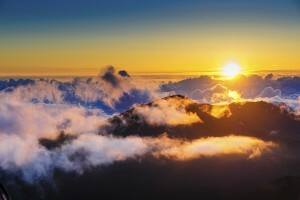 As the largest dormant volcano in the world, Haleakala (House of the Sun) is also one of the largest attractions on Maui. Every day, visitors drive the steep, winding road to the summit, often hours before sunrise, to take in the spectacular views when the sun peeks over the eastern edge of the crater. Sunset is nearly just as popular for those who aren’t early birds, but the crowds can be even greater. While an entire day or more can be spent at the summit and exploring the crater, the park itself is more than 34,000 acres of land that includes Maui’s southeastern coast, waterfalls, hiking trails and more. 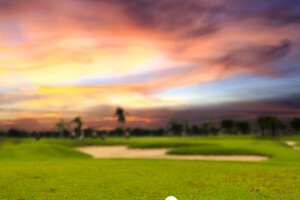 Tee off on some of the some of the most breathtaking courses you’ll find, with stunning views of volcanoes, sandy tropical beaches or humpback whales breaching in the distance. Maui’s dining options are as varied as the colors of the tropical flowers blooming throughout the island. 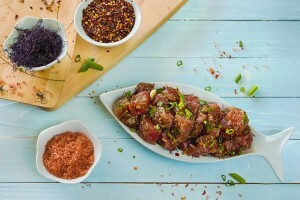 While cuisines from around the world can be easily found, chefs love to add local flavor with some of the fresh ingredients for which Hawaii is known. Farm to table menus are not just a trend here; it’s simply the way many Hawaiian chefs cook. 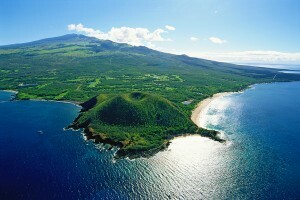 While Maui island gets most of the glory, the two smaller nearby islands of Lanai and Molokai also make up Maui County. Their close proximity makes it possible to wake up on Maui, spend the day sailing and snorkeling off Lanai, and be back in time for a sunset luau on the beach at Wailea. 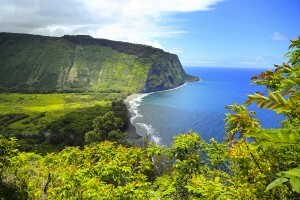 Or you can hop aboard a ferry from Lahaina Harbor and explore Molokai’s east-end rainforest or tour the remote, historic Kalaupapa Peninsula. 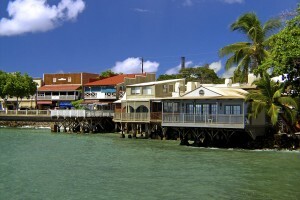 Lahaina is a favorite spot of visitors to Maui, where history, art and culture thrive. Browse galleries, feast on Hawaii Regional Cuisine or take a boat tour to spot the humpback whales that frequent the waters just off the coast.